Team G Aluminum Water Pump w/ "Twisted Snout" design - 1971-1982 Chevrolet Small Block Corvette, Satin Finish. Requires Spacer 8230WND - Available Separately. Dimension from fan mounting hub to block surface: 5.80"
Weiand Team G water pumps are ideally suited for racing. These pumps have been completely redesigned for better performance and utilize our exclusive "twisted snout" look. New, not rebuilt, they are designed from the outset with premium features that will assure reliable and consistent engine cooling performance. 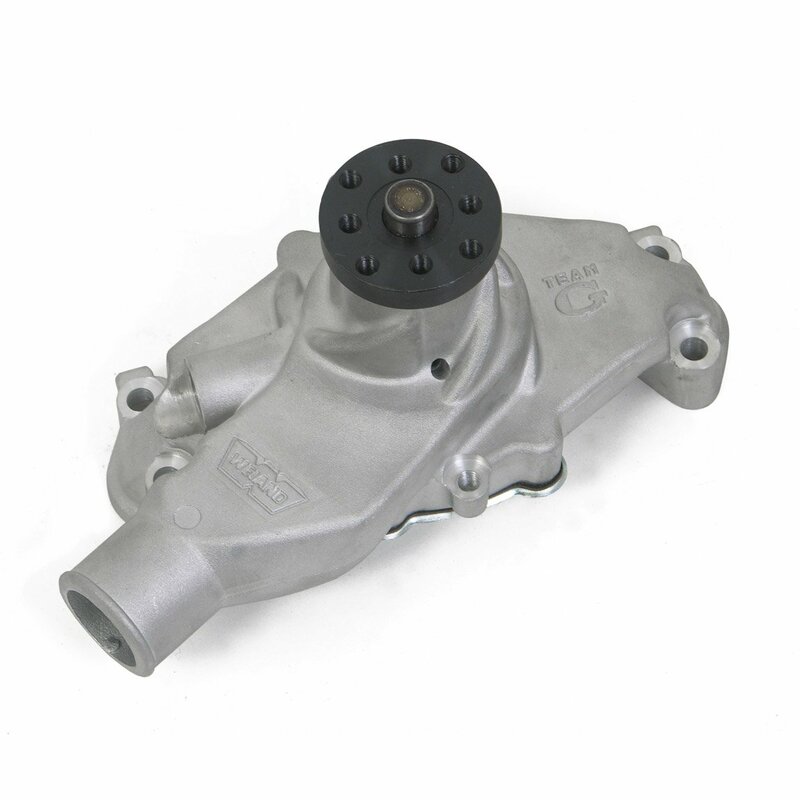 We believe that these are the finest racing mechanical water pumps on the market today. One look will convince you of the superior design and performance capabilities of the Weiand Team G water pump line-up.